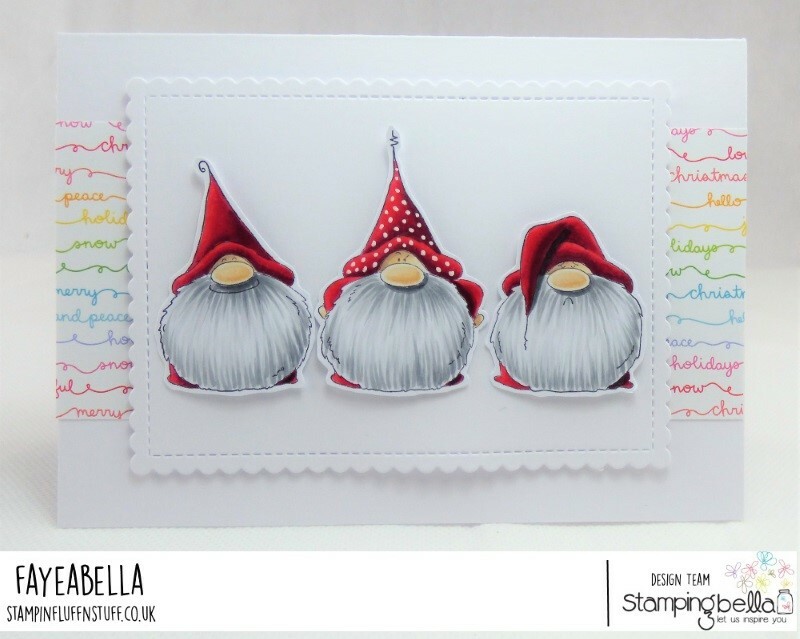 This week at Stamping Bella, we're featuring some of the 'older' stamps. I decided to share a card using Gnomes Have Feelings Too. I love these little guys! It's the expressions on their faces. Love 'em. UK Peeps, you can get your Bella Fix at Dies To Die For. I'm out and about for my first show and classes this weekend. If you are local to Birmingham, I'll be at the National Motorcycle Museum on Saturday, come and say hi. 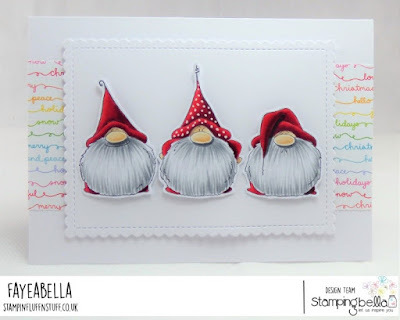 A fabulous card - I love those cute gnomes. So cute Faye I love the little gnomes. A great card!